Teaforthree for Grand National glory? The Aintree Grand National is the nation's favourite race. 40 runners, 30 fences, and four and a half miles of ground to cover (less 110 yards these days). No wonder it's perceived as a pin-stickers' paradise! But is the Grand National really the lottery many people suggest? Or can we apply trends and form analysis to whittle down to a likely winner? Well, the real answer of course is a bit of both. With so many runners and so many fences - even the new, super easy fences - there is bound to be an element of luck in play. But if your horse is dealt at least a fair hand, then how can we ensure we play those cards optimally? Let's start by looking at the key trends, based on recent runnings of the most famous race in the world. 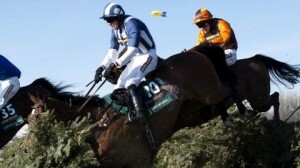 Age: Fifteen of the last seventeen Aintree Grand National winners were aged nine, ten or eleven. That's 88% of the winners from 68% of the runners. None of the 44 horses aged seven or younger has even made the frame, while only three of the 72 horses aged twelve or over has placed (one winner). Of the 73 still engaged, 28 fail the age trend, including Triolo d'Alene, Tidal Bay, Rocky Creek, and Godsmejudge. Weight / Rating: This is an area that is changing. 'Discretionary handicapping' allows the official handicapper, Phil Smith, to allocate different weights in this race to any other, based on previous experience of the fences. As a consequence, we've seen a number of the better horses win in recent years, and four of the last five winners shouldered eleven stone or more. This after the previous 24 Aintree National winners had carried 11-01 or less (and 22 of them less than eleven stone). One key is to look for a horse whose best rating was over a trip of three miles or more. It makes sense that a horse needs to be at its best to win over such a long distance, and indeed all of the last twelve winners could claim their top Racing Post Rating in a race run over three miles-plus. The last to fail on that count was Red Marauder, in the year when only four finished (two of which were remounted). Experience: Even though the handicapper is giving better horses a chance, this is still a race in which a balance of experience is required. All of the last twelve Grand National winners had at least three chase victories to their name, but only two of that dozen had scored more than five times over fences. Recent Form: All bar one of the last twelve winners had no more than a single chase victory to show that season, and eight of them hadn't won a chase at all in their Grand National-winning season. All of the last seventeen winners were returning to the track within eight weeks. Amongst others longer absent, Sunnyhillboy will have been off for 113 days, Prince de Beauchene for 79 days, and both Rocky Creek and The Rainbow Hunter for 70 days. None of the 131 horses to contest a Grade 1 or 2 race last time out in the last seventeen years was able to win the Grand National. Thirteen made the frame, however. Thirteen of the last seventeen Aintree National winners finished in the top five last time out. That's 76% of the winners from 48% of the runners. Ten of the last eleven winners had won a chase worth at least £30,000. All of the above gives us a solid looking trends shortlist of Teaforthree, Monbeg Dude, Burton Port, and Raz De Maree. With 73 still engaged at time of writing, it is impossible for me to cover all of them without running to many volumes. Instead, I'll focus on three areas: the trends shortlist, who all scored six out of six; the dozen horses that had a single negative out of six; and any remaining market leaders. Let's kick off with the quartet of perfect profile prospects, the most natural of which to consider first is the clear favourite for the race, Teaforthree. Teaforthree won the National Hunt Chase - a four mile event - as a novice in 2012, and announced himself as a stayer of some note in the process. Since then, he's been extremely consistent, finishing sixth in the 2012 Hennessy, second in the Welsh National, and third in last year's Grand National. That was off a handicap rating of 151, and his campaign has been carefully managed since to ensure his weight for this year's race was as low as possible. The team has done a fine job, as Teaforthree has a rating two pounds lower this year, and comes into the race a much fresher horse. Rebecca Curtis's stable had been struggling a little bit until the beginning of March, but despite that, Teaforthree ran a close second in a Listed handicap chase at Ascot over an inadequate three miles. He's seen had a sharpener in the Gold Cup, where he was a 21 length eighth, and that will have put him bang on for his big day. Now a ten year old, he's the perfect age, has a lovely weight just shy of eleven stone (assuming either of the top weights, Tidal Bay or Long Run, take part, an assumption which holds for all weight-related observations hereafter), has proven his stamina for the distance, and liking for the track. In short, Teaforthree is a very solid favourite, and 9/1 with a five places bookie (10/1 four places, and 8/1 six places) looks a very solid - if unimaginative - each way bet. Can Monbeg Dude beat Teaforthree again? 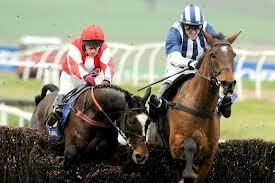 Monbeg Dude is next of the trends horses, and is fourth in the bookie lists at 20/1 five places (16/1 six places). He was the horse to beat Teaforthree in the Welsh National last season, and has gone up over a stone in the handicap since then. That means the fifteen pound weight differential that day is now just three pounds for Aintree, and that - allied to the fact that the Dude is usually a hold up type - is enough for me to respect his chance but look elsewhere. To clarify, the National is a race where prominent runners tend to have the best of it. Aside from the pan flat track, this is also because it's the best place to be to swerve the larger part of any trouble there might be in the contest. Remember, forty runners and thirty fences over four and a half miles a smooth procession does not make. Then we come to the interesting pair in the trends four, beginning with Burton Port. Owned by Trevor Hemmings (won in 2005 with Hedgehunter and in 2011 with Ballabriggs) and trained by Jonjo O'Neill (won in 2010 with Don't Push It and a nose second in 2012 with Sunnyhillboy), these are connections that know how to buy and train a Grand National winner. And this is a horse that has been handily slipping down the handicap ratings all season, almost as if this was the plan all along... ahem. To his form: still a ten year old, Burton Port has won five of his fourteen chase starts, and been second in another five. He's won three Grade 2 chases in his time, all back in 2010. He then had some time off, but came back in 2012 to finish fourth in the Gold Cup, an effort he matched in ratings terms when second in the Aintree Bowl on this track. Those two races were both Grade 1 affairs, showing he retained a lot of ability, and his official rating after the second of those runs was 166. That he is now, two years and just four chase runs later, down to a rating of 145 - a whopping stone and a half below the form of those Grade 1 efforts, screams his chance. We know he jumps well, I suspect he will stay this marathon trip, he has bags of class, and he'll go on any ground (soft side of good ideal). 33/1 is too big, though you'll only get four places at that price. You can get 25/1 with five places. Rounding out the trends shortlist is Raz De Maree, another very interesting contender. Number 41 in the weights, he's almost certain to get a run, and will carry only slightly above the ten stone basement weight. Trained by Dessie Hughes, he's another comeback kid, having been good enough to win back-to-back minor Nationals in late 2012. Those victories in the Munster and Cork Nationals showed a gritty attitude, stamina aplenty, an ability to handle a big field, and a dollop of class. Still only nine, he's the right age for the race, and bounced back to form when a staying-on third over three and a quarter miles last time. He was outpaced there before very nearly grabbing second late on, and that was his best form since those diddy National wins. Dessie Hughes is a master at getting a horse well handicapped, though his overall Grand National record is less than stellar. At 50/1 and with six places to aim for, Raz De Maree might be the best of the big prices. Moving on to the other market leaders, former Gold Cup winner Long Run is second choice in most lists. He has an awful lot of weight - just one pound less than top weight Tidal Bay - and this is because of his undeniable class. There are, however, plenty of negatives with respect to his cause besides the lumps of weight he'll be conceding almost universally. Aside from the fact he won last time, that level of form was something like a stone below his rating, with just six lengths to a horse rated 17lb inferior. That may or may not be harsh, but a less contentious point is that he has been inconsistent this year, and unseated his jockey for the first time in his career (Long Run's) two starts back. He'd made a horlicks of a fence the time before and is a known dodgy jumper. Moreover, and on the subject of his jockey, Sam Waley-Cohen is an amateur - albeit an experienced amateur - and not to everyone's tastes. Let me be clear. He's not to my tastes. Ignoring my quasi-rational prejudices, it has been a long time since an amateur won the race (Marcus Armytage on Mr Frisk in 1990), and I don't think Long Run is any value at 14/1. The only horse cursed to lug more lead than Sam's Long Run is Tidal Bay, a lovable rogue and a talented old man. At thirteen, he'd be the oldest winner since Sergeant Murphy in 1923. It doesn't mean he can't win, just that it's pretty unlikely. He is a capable horse and retains ability, as he showed when staying on to be second in the Grade 1 Irish Hennessy last time out. He was third in the Welsh National off top weight before that, and could very well run into the frame again, especially as he's actually seven pounds 'well in' against his actual handicap rating as a result of the discretionary handicapping. As a win wager, though, he's not for me. Still, he'll be a brilliant story and 16/1 is about right, even with those chunks of lead. There is a gaggle of entries at 20/1, as follows: Prince De Beauchene, Sunnyhillboy, Pineau De Re, and Triolo d'Alene. Prince De Beauchene is trained by Willie Mullins, and the Irish wizard will need all his powers to conjure up an effort to justify the current price about this one. Yes, Prince De Beauchene has won the Bobbyjo Chase, a Grade 2 over three miles and a furlong; and yes, he's run some respectable races in defeat since. But he's been off the track for nearly three months, and National winners do not usually have that sort of layoff. In his defence, he has gone well fresh in the past but seems to prefer heavy ground to more solid underfoot conditions. I'm not convinced he'll stay and I'm not convinced he's quite good enough. He'll probably win now I've said all that, but he won't win with my money on him. Sunnyhillboy holds the ignoble distinction of being the most unlucky National loser ever, with the possible exception of Devon Loch. Sunnyhillboy was 'nutted' on the line in the 2012 Grand National, beaten a nose, officially the shortest possible margin of victory/defeat. Unsurprisingly, that's the smallest margin of loss ever recorded in the race, and it will highly likely always be so. Anyway, that hard-to-swallow reversal did demonstrate alacrity for the prevailing conditions, and a light schedule this term has kept him fresh. If anything it's kept him a little too fresh, as a break of 113 days is far from ideal. He's never performed optimally off a break and so, despite an otherwise fairly compelling profile, Sunnyhillboy gets the flick. Pineau De Re has been running well this term, and has been quite well backed by shrewd connections. But this isn't a Class 2 veterans' handicap around Exeter (the last race he won). No, this is a far tougher assignment, and Dr Newland's charge has never shown he has the class - or the stamina - to cut it at such a rarefied altitude. He's readily opposed. Nicky Henderson saddles the joint fourth favourite, Triolo d'Alene, as well as the second favourite, Long Run. Which is weird for a trainer who, by his own admission, doesn't really focus on the race and has a terrible record. Indeed, of the sixteen runners Henderson has had in the National in the last twenty years, only two of them recorded a number rather than a letter at the finish. The full dischordant string is UFFFUFFUPPF5UF9U and while the two numeric finishes were within his last five runners, it's a leap of faith to back either Long Run or Triolo d'Alene. Triolo does have good form: he won this season's Hennessy and then, like Teaforthree, had a nice jog around the Cheltenham track behind Lord Windermere in the Gold Cup. Thirty lengths behind. Then there's the fact he's only seven years old. If we have to go back to 1923 and Sergeant Murphy to find the last horse Tidal Bay's age to win the National, then we 'only' have to go back to 1940 and Bogskar for the last seven year old. Triolo d'Alene has had thirteen chase starts, which is a lot for one so young, and he's not as inexperienced as his age might imply. But he is less mature than virtually all of his rivals, regardless of how precocious a seven-year-old he may be. No thanks. It's 25/1 and bigger the rest, so let's now look at the remaining 'five out of six' trends horses not already covered in the top of the market preview. The dozen on that list are Long Run, Roi Du Mee, Bog Warrior, Lion Na Bearnai, Prince de Beauchene, Sunnyhillboy, Big Shu, Golan Way, The Package, Wyck Hill, Quinz, and Any Currency. The last named trio are unlikely to get a run but I'll cover them briefly anyway in due course. The first unmentioned horse in the 5/6 list then is Roi Du Mee, a classy and experienced Irish contender. And it was his level of experience - or overexposure - which gave him his knock. Specifically, in winning ten chases, including a Grade 1 this season, two Grade 2's and three Grade 3's, he has little to reveal in terms of improvement. As such, he's handicapped to the hilt. That said, wily trainer Gordon Elliot has managed his mark down from 168 immediately after that Down Royal Grade 1 victory, to 157. He'll shoulder 11-06 or thereabouts in this, and it will probably stop him. That and the fact that he was well seen off the only other time he tried an extreme distance, when a 75 length eighth in the Irish Grand National of 2012. Bog Warrior is an enigmatic type, for sure, with a propensity to ignore the accepted protocol of jumping in order to traverse from one side of a fence to the other. His four failures to complete would have been the death knell (metaphorically) in the old days (i.e. 2012), but since the softening of the fences, he has a great chance to not fall. The problem is he's very unlikely to stay this far. Lion Na Bearnai is a horse I like. 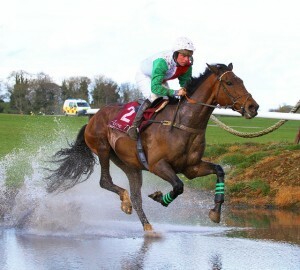 He won the 2012 Irish National, he jumps and he stays. He'd been given a suitably surreptitious preparation before the weights were announced, with a handicap hurdle run and a chase effort over a significantly sub-optimal distance. Then a win in a rated chase ignited hope for Aintree before a fairly woeful last of four finishers in the Bobbyjo Chase cast a fat grey cloud over that aspiration. Despite winning two runs back on heavy, his best form is on a sounder surface and it is possible that the turf may have been too quaggy for him that day (it was good to soft when he won the Irish Grand National). Nevertheless, he is a twelve year old now, and while they do win the race - Amberleigh House in 2004 and Royal Athlete in 1995 the most recent pair - they don't win often. As I wrote, I like Lion Na Bearnai, and that will cost me a couple of quid. Hopefully he'll run a big race, but I'd be surprised if he ran sufficiently big to bag a second National, the Grandest one of all. Is Big Shu a good tip for the Grand National? Next in my list is Big Shu, another horse I like. I like him as a cross country beast, and I've yet to win when backing him in that sphere. That ought to be a caution-counselling comment, but it likely won't be, and he'll be another to whose tail a few of my accursed coppers are taped. Big Shu does travel very well through his races, and his target has been the Grand National this year, in spite of my biggest wager of the Cheltenham Festival on his retaining the Cross Country (don't worry, I'd saved on King Balthazar). He'll unequivocally stay, and he really ought to jump round, but whether he's good enough, I'm not sure. 40/1 is big enough to take a chance on finding out. There then follows a pair of horses that I couldn't possibly back in such a fiendish race, but whose past performances give them a squeak. Golan Way has been a brilliant flag bearer for his syndicate owners, Winning Racing Bureau, a syndicate that races in very similar colours to geegeez.co.uk's own. He last raced in a handicap chase in 2012, and since then has had a year off and plodded round in a pair of hunter chases recently. He won the second of those easily, over three and a quarter miles. But that was a Class 6 and this is a Grade 3, a difference of six rungs. Even in his pomp, he wasn't quite good enough to win a decent pot, though he did claim a Listed prize at Sandown in 2011. Likewise, The Package would be an emotional winner for the Johnson family, in whose patriarch's colours this fellow runs. David Johnson was lost to cancer earlier this year, having enjoyed victory in the Grand National in 2008 with Comply Or Die. Again, then, connections know what it takes to win a Grand National, and the only knock for The Package is that he's won just two of his sixteen chase starts. But he's been second four times, and third a further three times, including his most recent run, in the Festival Handicap Chase at Cheltenham. He unseated in the 2010 National, but two things have happened since then: 1. the fences have got easier, and 2. his jumping has improved. At 40/1 five places, there are definitely worse each way bets. But I hope and believe there are better ones, too. And the final quarter of the 'five out of six' dozen - all three of which look unlikely to get into the final forty to face the starter - are Wyck Hill, Quinz, and Any Currency. Wyck Hill is trained by a guy I think might be going places, David Bridgwater. The horse was acquired by JP McManus around this time last year, and managed to win his first race in the green and gold liveries on his first run after the National weights were announced. Uncanny. Since then, he had a very nice school around when sixth in the Midlands National. He's four pounds out of the handicap according to the official numbers, but having won since the weights were published, his rating is now 141, eight higher than the 133 he's been allotted for the April showpiece. If that didn't make sense, suffice it to say that he's four pounds to the good not four pounds to the bad. And he does have plenty in his favour. Indeed, if he'd finished fifth not sixth that last day, he'd have been a perfect trends fit. Such are the fine lines, and the occasional arbitrariness, of trends profiling. Obviously, we can say he's a very close match on profiles, and he's at the right end of the weights. He jumps well and stays well - that win two starts back was in the four mile one furlong Eider Chase, on heavy ground - and he has a bit of class. 40/1 with five places and non-runner no bet is a tempting proposition. That way, you get your money back if he fails to get into the final forty. Quinz seems to have lost his way. Winner of the 2011 Racing Post Chase at Kempton, he's since pulled up in four of his eight starts. The pick of the other quartet of recent runs was a fourth in the same race that he won, two years after he won it. It would be an incredible training feat if Philip Hobbs could get him close and he's not for me. And Any Currency brings up the rear of the 'almost perfect fit' brigade. A heart-breaking nose shy in the Cross Country Chase at Cheltenham last time, he's favoured by the weights here... to such a degree that it threatens his participation. There are 65 horses above him in the list, and if forty of them stand their ground, he'll not run. If he does get in, he's going to be carrying five pounds more weight than he theoretically should, and that's hardly a positive. Any Currency just lacks a bit of class, and recent winners of the Grand National have all had that touch of finesse, allied to plenty of steel. The average starting price of the winner in the last five years has been 44.6/1 so it's obviously a very tough punting puzzle. But, for those who pick right, the rewards will be handsome. Winners at 33/1, 66/1 and 100/1 in that time also demonstrate that you shouldn't be afraid to take a big price about a horse. Teaforthree, Burton Port, Big Shu, Wyck Hill, Lion Na Bearnai, and Raz De Maree. I think Teaforthree is a rock solid favourite, and looks sure to give supporters a great run for their money. Burton Port, Wyck Hill, and Raz De Maree are big priced animals with a better chance than their odds imply. And my heart is persuading my head a little with Big Shu and Lion Na Bearnai, both of which have a chance, but perhaps not as strong a chance as the previously mentioned. 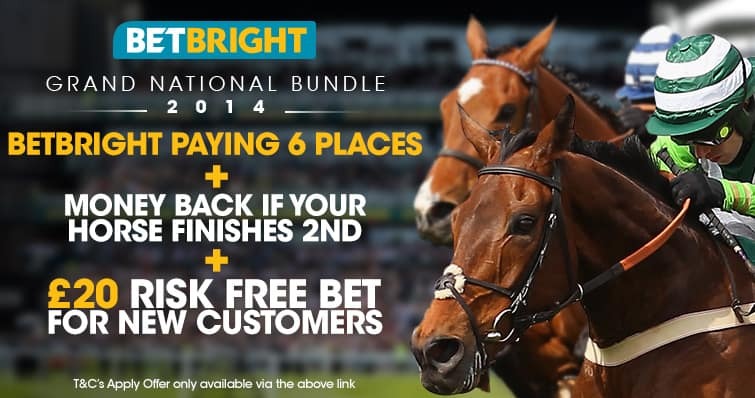 GET SIX PLACES ON THE GRAND NATIONAL AND MONEY BACK AS A FREE BET IF YOUR HORSE DOESN'T RUN WITH BETVICTOR and BETBRIGHT. p.s. here's my workings out on the trends front, in case you want to see why another horse didn't do so well against my requirements. In my opinion, 40/1 about a horse that scores highly on the trends, has won over the National fences in Grade 3 company and ran a great prep race last time out is terrific value. I do agree with you on Burton Point though. His best form (according to ratings) is at sub-three mile trips; he’s over-exposed, with six chase wins, compared to most recent Grand National winners; and no Becher Chase winner has ever won the National in the same season. Of the above, the one that stands out is that I don’t think he’ll stay. I’ve been wrong in the last few years on the race, mind. My 3 against the field are Balthazar King,Any currency and strongly fancy Tranquil Sea. A great preview that I enjoyed. I am however quite keen on Balthazar King as long as the ground continues to dry out. I certainly wouldn’t want it to be on the softer side of good. If it does stay dry I think he has a great chance though. He ran well for quite a way last year before tiring and looks better than ever this year especially winning the Cross Country at Cheltenham off top weight. 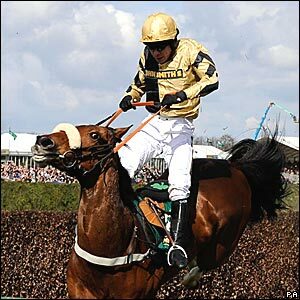 I’m a big fan of BK, but he surely left his race at Cheltenham. None of the eight Cheltenham Festival winners to contest the National since 1997 has won. Sunnyhillboy was very unlucky, mind. Of the rest, most either failed to complete or were outside the top dozen home, and most were much shorter in the betting than BK. hi matt,maybe you,ve just picked the winner, but which one? Indeed! Anyone who goes into the National single-handed gets what they deserve in my opinion! A nice summary Matt. I agree with you that Burton Port has the look of a horse that has been laid out for this for some time. My only worry is that he’s suffered from an injury problem in the recent past. If he gets round unscathed, I think he’s got a great chance. Best of luck to all. Hi Matt, nice to see you at Chelts, thanks for the chat.. we seem to agree on a few of the GN field both positive and negative. On my website after giving my opinion on all of the top 42 we have a similar shortlist. My ante-post wager is Burton Port at 50-1 but the one I do quite like is Last Time D’albain, but I couldn’t have any that contested the cross country race it’s such a different disciplin. BK who after finishing 2nd at Chelts could only run 15th last year no reason he should do any better. As Gavin, your good self and me all fancy Burton Port looks like we have it sewn up!! Good to hear from you, and great that we’re aligned on some of our fancies/non-fancies! p.s. yes, family all good. Leon has a nasty case of the snots but nothing too onerous. Hope Clan Priestley are fine too. I have never sent a insight before,but I would like you to know what happend to me,I have a bet on betfair,yesterday I bet on a horse,and then went to my bets,where I found that burton port had been placed on my bets,but I have no bet with burton port,do you think this is an omen,it was bet on the 28th of last month,what do you think,scottie. I’m not one for omens too much, but I do like Burton Port for the National!